Getting a good night’s sleep is crucial for good health. People typically feel well-rested when they wake up in the morning, but this is not the case for people who suffer from sleep apnea. Patients with this disorder feel fatigued even after sleeping long periods of time. Sleep apnea is a very serious condition that requires Cedar City sleep disorder treatment. If you have sleep apnea symptoms, you should see an expert dentist like ours at Corry & Lewis Dental to discuss getting a sleep study done. The sleep study will either rule out or confirm the diagnosis and the need for Cedar City sleep disorder treatment. The sleep study will also show if the sleep apnea is mild, moderate or severe. It’s important to get this done so you can be treated as soon as possible. Sleep apnea is a very serious disorder. Sleep apnea patients stops breathing for short intervals while sleeping. The disorder negatively impacts the patient’s quality of life. It has many troublesome symptoms which include: the cessation of breathing for short intervals while sleeping, choking or gasping for air in the middle of the night, loud snoring and fatigue (even after sleeping throughout the night). 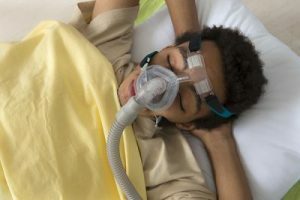 The Gold Standard of Care for sleep apnea is the CPAP machine, however, there are many patients who cannot to tolerate it. Patients with mild sleep apnea who qualify can be treated with oral appliance therapy as an alternative to the C-PAP machine. However, not everyone is a candidate. If you’ve been diagnosed with mild sleep apnea or are having symptoms, we recommend that you contact us to book an appointment with our dentist to determine if you would be a candidate for an oral appliance from a sleep dentistry specialist. You’ll be in excellent hands when you come to our practice. Our office consists of a caring team of professionals who will provide you with the outstanding care you need and deserve. Contact our office to set up your appointment Cedar City sleep disorder treatment consultation today. We look forward to your call and to assisting you soon.